How do writers and readers get together? We are all readers and more and more of us are writers too. How can writers find readers? That means you and me of course. 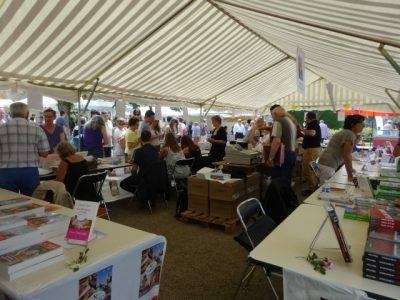 Well – here we are one week away from the Salon Du Livre organised by Marie-Clémence Duguet and what we need is you to come to make it a success. Please come and say hello! It’s a new project – this is only its second year but from the outset there has been a place for writers in English. 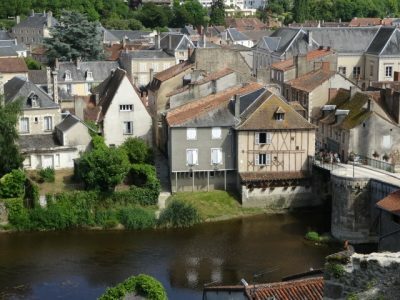 This year Nick Inman, author of A Guide to Mystical France will be a key speaker. June Gadsby, author of Rosa, will be there and so will I with The Shaping of Water and The Tin Heart Gold Mine. Apart from us and over 30 other authors, there will be food and wine. 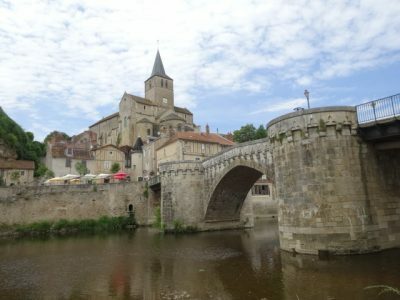 In Vic there is also a lovely bookshop La Litote run by Nathalie. It has a great selection, beautiful books for children, lovely cards, and my favourites – a selection of Bandes dessinées. My books are there too. 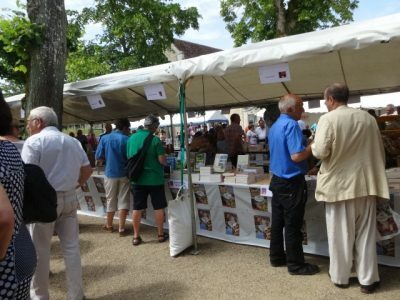 Book Fairs take place in lovely little towns and are great business for them as well as inspiring for both readers and writers. 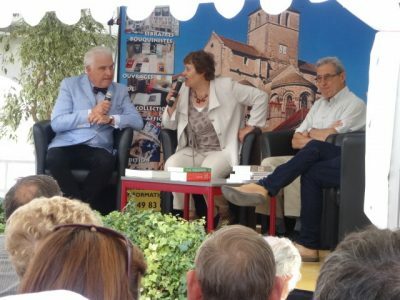 Harriet Springbett, author of a smashing YA book Tree Magic, went to the Charroux Literary Festival. Here is a link to Joining the Dots, her blog about it. 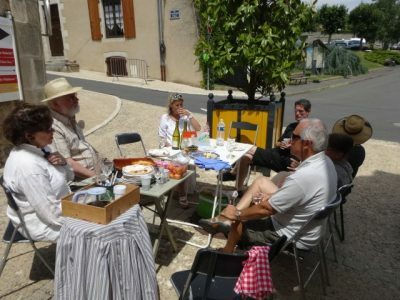 Alison Morton has also posted about Charroux – a different litfest on her blog. She has excellent advice for writers on promoting your book. 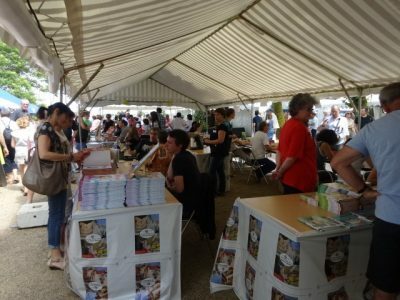 We visited this book fair in 2014. 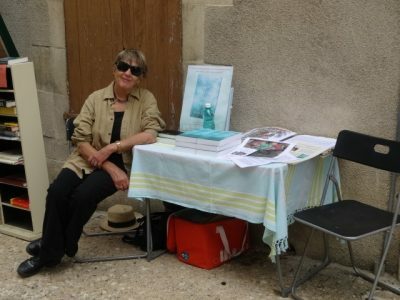 Montmorillon is the home of publisher, Régine Deforges and her book The Blue Bicycle. 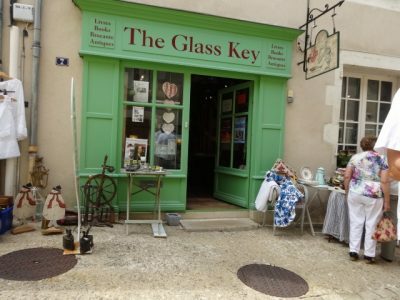 It also has a fantastic second hand bookshop called The Glass Key after Dashiell Hammett’s gritty detective book where we were given generous hospitality by the owners, James and Patsy. We we are all off to the Festilitt in Parisot then. 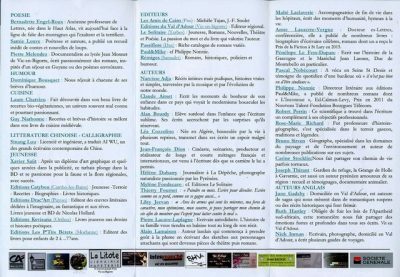 Again there will be English authors and agents as well as French. It will be a great occasion to meet people and to learn about the reading, writing and arithmetic of being an author. 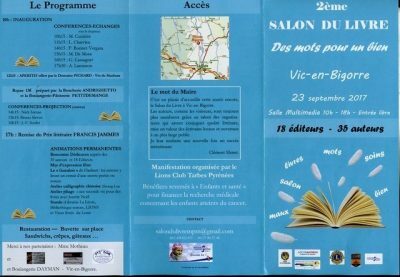 Here is the information about the Salon du Livre at Vic we need your support – do come and have a drink with us.